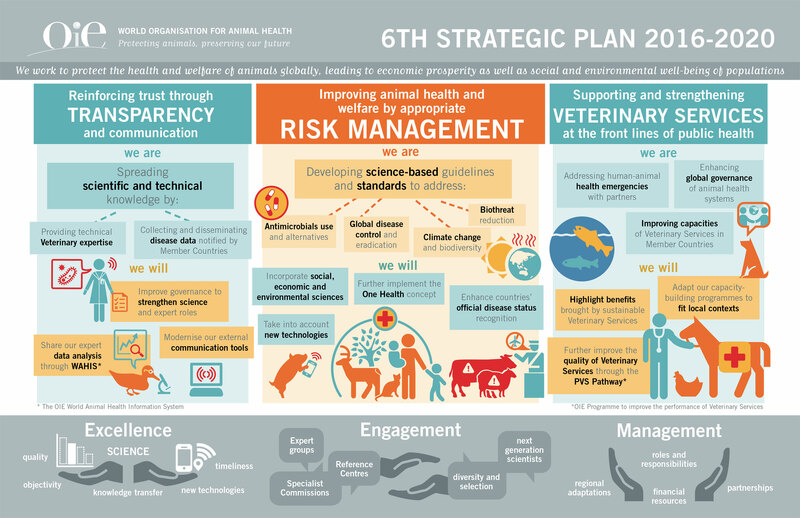 A visual summary of the five-year strategic plan. I translated dense, inaccessible text to clear and engaging images and words, using creative illustrations to bring abstract concepts to life and inspire staff with a hopeful and happy vision. OIE deals with serious threats to global health but a fun visual can help offset the emotional burden on the staff, helping them to forge ahead.